High school students from Faith Christian Academy recently completed a five day elective course entitled “Sewing for a Cause.” The course was led by local seamstress and quilter Gail Wright, who volunteers with the Claire Parker Foundation as a quality control coordinator for the pillowcase project. “It was a wonderful experience to work with the girls. They were very intelligent and did great work,” says Wright. “I hope they invite me back to teach next year!” Students were first engaged in a dialogue that focused on the foundation, its mission, and selecting material that will make a child smile. Wright also took the time to explain about the importance of pre-washing the 100% cotton fabric. 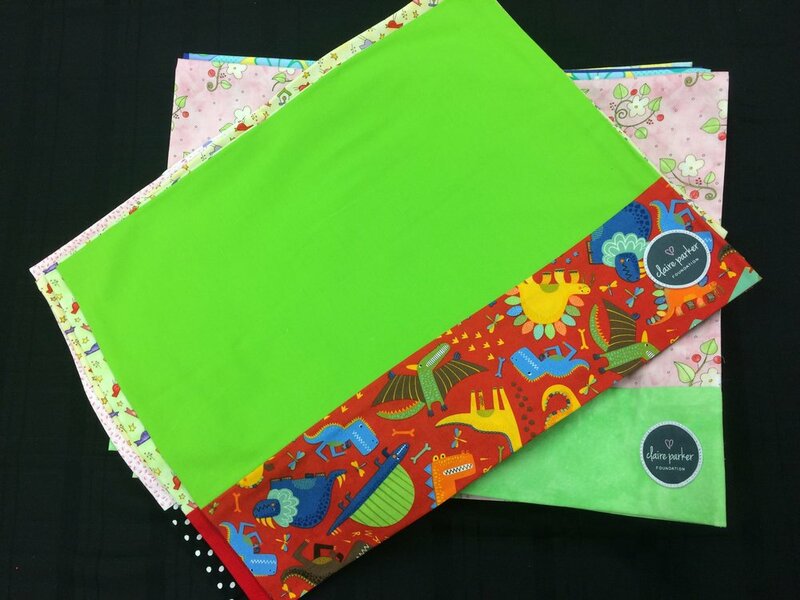 Not only does this prevent warping of the finished pillowcase, pre-washing the material also protects a child’s immune system from the chemicals used in the textile industry. Special thanks to Threads Run Thru It Quilt Shop in Rustburg, which donated much of the fabric used in these creations. 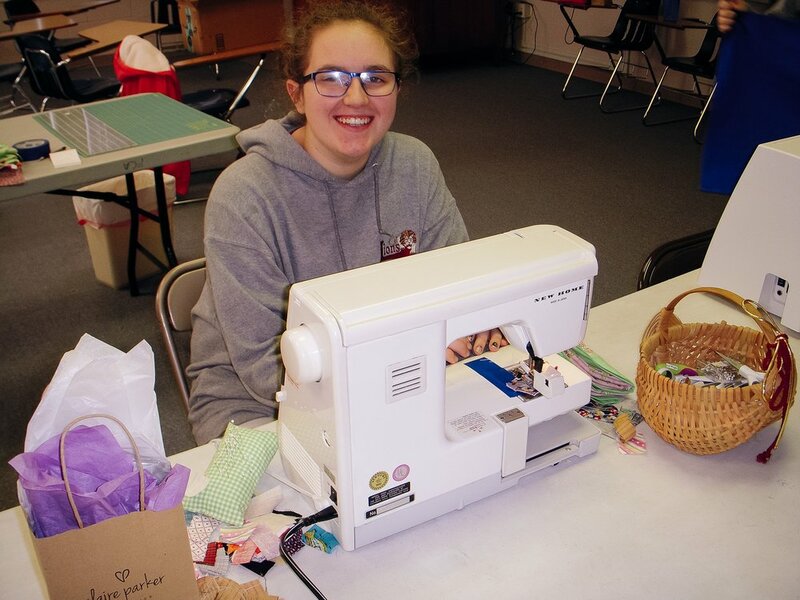 In one week, teenagers learned how to operate a standard sewing machine and then worked with instructor Gail Wright to produce fifteen perfectly pressed pillowcases! Denise Bowman, a local friend of the school, assisted in teaching the students. She worked alongside the girls to help with the machines and keep the seams straight. Although it was a donation of pillowcases, the students gained a skillset for life. “Sewing is just like carpentry, architecture, or engineering. It requires creativity, math, patience, and shows craftsmanship. Sewing is not just women’s work,” says Wright. About the Pillowcase Project: The Claire parker Foundation has designed a signature Care Box as part of their core mission. Care Boxes encourage and support parents who have had to drop everything (literally) as a result of a sudden, acute pediatric cancer diagnosis. Each box includes essential hygiene items, hand-selected toys, custom leather-bound journal, and two handmade pillow cases. CPF Care Boxes are given out at regional cancer centers like Duke, UVA, and Roanoke’s Carillion Clinic. Copyright 2019 Faith Christian Academy. All rights reserved.